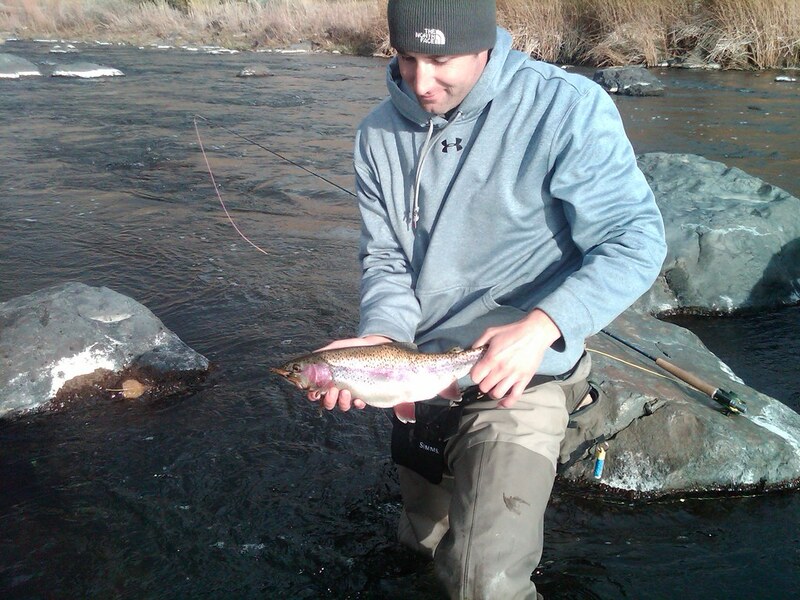 Kellen finally stuck it to the man on Friday, and 3 of us made a trip out East of Reno around 1 pm. Within minutes Kellen had a decent sized fish hooked, but the fish gave him the 'ol fisherman's release, and it was on to the next hole. We primarily stuck to streamers. 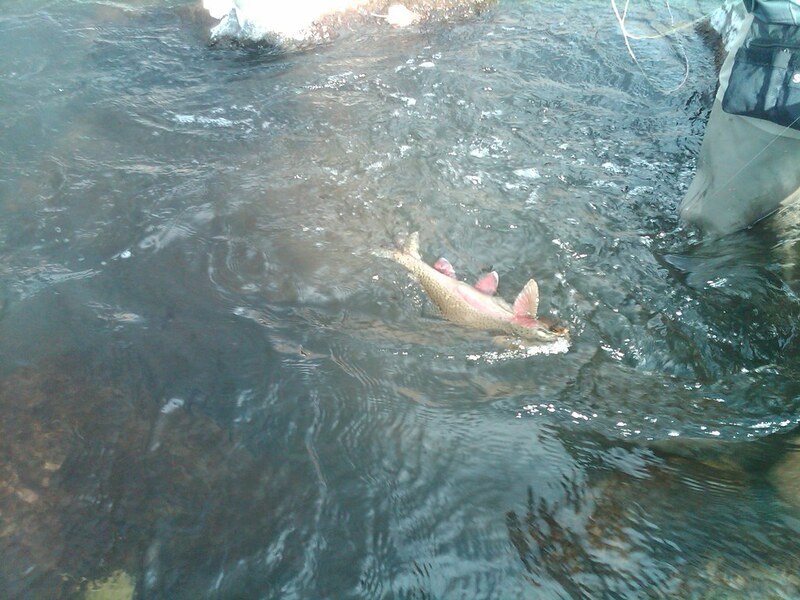 This fish was caught on a sculpin pattern, but we had hits on a Zonker as well. I considered throwing a nymph stack, but the windy conditions would have caused more line tangle than I wanted to deal with. It's definitely that time of year, and the temperatures have dropped to winter levels. 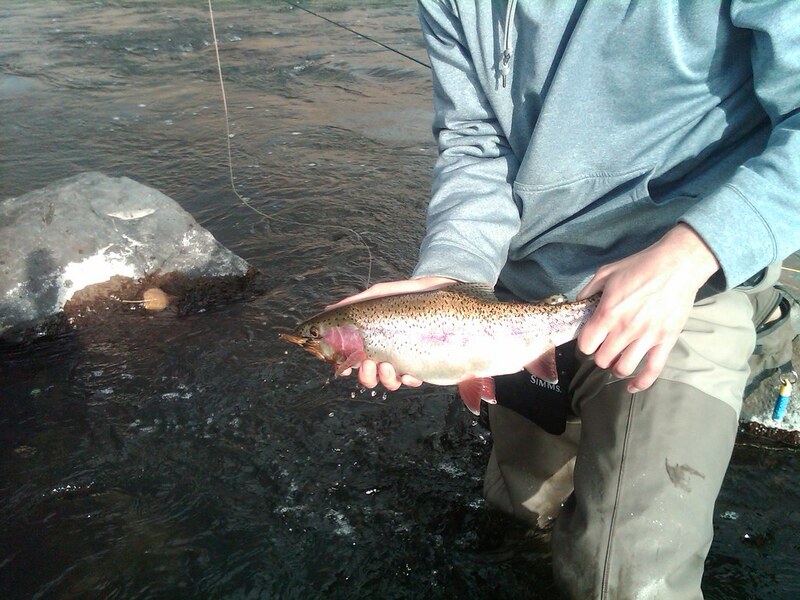 Mid-day will probably be your best bet, fishing small nymphs and big streamers.